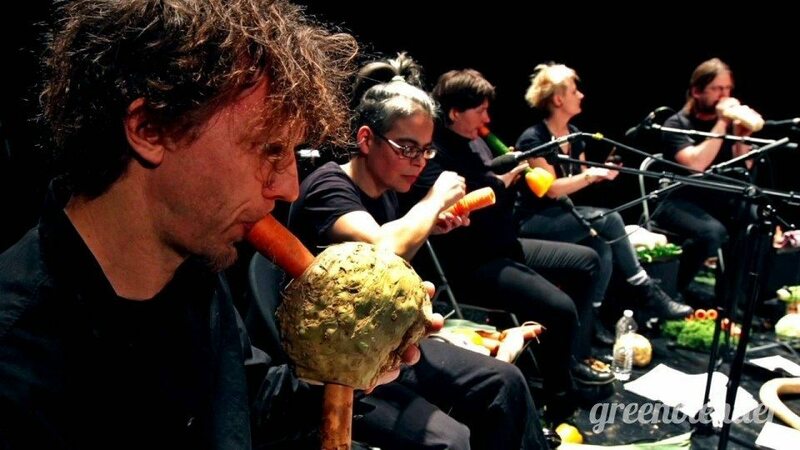 if you’re wondering how i found out about the vegetable orchestra, it just came to me. it literally fell in my lap. jarred, one of my old co-workers posted a video on facebook & i watched people play carrots, squash, lettuce heads, and a bunch of other produce. this is music i can really sink my teeth into. what a novel idea for starving artist, after the concert they can eat their instruments for dinner. what a novel idea for starving artist. after the concert they can eat their instruments for dinner. Was there a sound bite to that? no dad, just a link to the vegetable orchestra website. if you go there you can watch the same video i saw.